Healthcare jobs are poised for both dramatic change and overall growth, making it an exciting and potentially rewarding direction for careers. Technology is driving much of the change in the healthcare sector, creating a wide range of new health-related roles. While some of the growth will be based on new opportunities created by the intersection of technology and medicine, the aging population is the most significant driver of growth. The average age of the world’s populations is increasing, and the elderly tend to require more medical support, and invest in more health-and-wellness related services. Healthcare is an essential service. Careers in healthcare tend to offer more job security than most because people still need to see doctors, get treatments, and receive care even when the economy isn’t very strong. For best results, consider choosing a career that provides necessary services that are covered by most insurance plans. 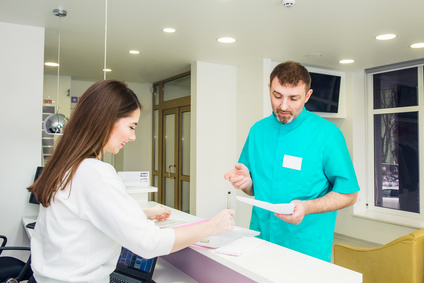 There are many beneficial treatments and value-added services in the health sector that are considered elective or more general wellness-related and which might offer slightly less job security, so careers in hospitals and medical clinics can be a good choice if you’re concerned about vulnerability to economic variation. But since healthcare jobs are in demand in many places, moving to another region or country and enjoying some travel while you go in search of even better opportunity is always an option. There are a few drivers of growth in the healthcare sector. As mentioned, an aging population is one key factor. Senior care demand is skyrocketing in many countries. Technological change is another, and it’s closely tied to a general trend toward wellness and elective treatments, interventions, and services that add value or enhance quality of life. Healthcare careers are a good choice because you don’t have to worry about the jobs drying up before you finish training, or when half way through your career. There are positions for those who enjoy learning one position and enjoying security in their role over the course of their career, as well as for those who enjoy change and growth opportunities. Whether you’re eager for chances to move toward leadership roles and innovate or enjoy familiar, consistent work, there are a multitude of career options available. The healthcare sector offers a wide range of jobs at all levels of experience, education, and complexity. You can get started with a minimal amount of education, gain some hands-on experience, and then move into a different role, expand your training, or train on the job for a more demanding position. Whatever level of complexity you lean toward, there’s a corresponding combination of education and job requirements that will meet your needs. Take the first step with a medical administrative assistant course to get paid while you learn about the world of healthcare careers, then strategically upgrade your skills for a different role as you gain more experience. Caregiver roles are another accessible entry point if you’re not quite ready to commit to a graduate degree in nursing or head off to med school. Healthcare careers tend to pay better than jobs in other sectors for equivalent levels of education and experience. From entry level positions to highly specialized roles, medical and health-related jobs offer excellent compensation, making any necessary education much more affordable to pay off, and a much better investment in your future. Many people gravitate toward a career in healthcare because they want to feel like their job makes a difference for people. Direct care roles in a medical office, hospital, clinic, or care residence could be a good choice if you want a more hands-on role where you interact with people directly. Technical roles and research and development roles might be a good fit if you prefer your space—you might be a hospital radiography technician or work in medical research or engineering. Whether you’re a hands-on, social sort of person who likes spending time with others, or an introverted altruist who wants to make a difference from a safe distance, there’s a healthcare career available that will let you make the world a better place in your own unique way. The health sector offers excellent career opportunities, and healthcare positions tend to come with high job security and better than average compensation. There’s such a wide variety available that it’s possible to find a right-fit for whatever level of experience, investment and education you’re prepared to offer, as well as a match for your own interests and preferences. If you’re not sure what would suit you best or want to earn and learn on the job for a while before upgrading your skills, it’s possible to start quickly with a shorter program and work your way up.